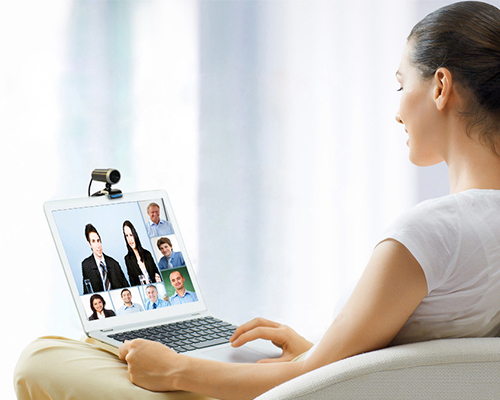 PeopleLink HDVC is designed to meet the demands of high performance video conferencing with a standard PC and Internet connection, including broadband and mobile wireless data cards. Solution supports Inbuilt Video Mixing capability, ensuring a single location to connect up to 4 Cameras, the feed of all can be broadcasted over a conference. Supports 64 videos in single screen. Supports 9 simultaneous audio channels. Ability to share Microsoft PowerPoint, Word, Excel / Acrobat PDF Documents etc. The Solution supports Desktop Sharing enabling access of systems for remote troubleshooting. The Solution is encrypted for ensuring a secure transmission. Capability of online file transfer. Solution comes with Inbuilt Digital White Board. The solution offers Public / Private Text Chats during a Conference. The Solution is capable to create Multiple Virtual Conference Rooms to allow many Video Conference sessions to be conducted together. Solution has inbuilt Video Recording. Seamless support of 3rd party PTZ Camera and Audio devices secures the investments of the User made on existing setup. Multiple camera Input offers covering large gatherings.